Minor civil divisions or municipalities in the U.S. state of Massachusetts are classified as either towns or cities, distinguished by their form of government under state law. Towns have an open town meeting or representative town meeting form of government. Cities, on the other hand, utilize a mayor-council or council-manager form. Based on the form of government, there are 296 towns and 55 cities in Massachusetts. Some municipalities, however, still refer to themselves as "towns" even though they have a city form of government. The main list includes actively functioning municipal governments. Former municipalities are listed in a separate section below the main list. The town of Bradford was annexed to Haverhill, Massachusetts in 1895. All settlements in the District of Maine were ceded when the state of Maine gained its independence from Massachusetts in 1820, and numerous towns were ceded to New Hampshire after the Northern boundary of Massachusetts was defined by royal decree. 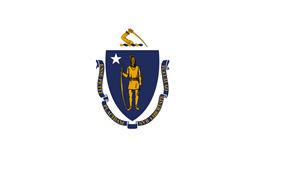 Commons has media related to Populated places in Massachusetts.